Several storms throughout January have helped improve conditions for California water supplies. So far, nearly 600 billion gallons of water have been added to California reservoirs and over five feet of snow has fallen in the Sierra since the start of 2019. 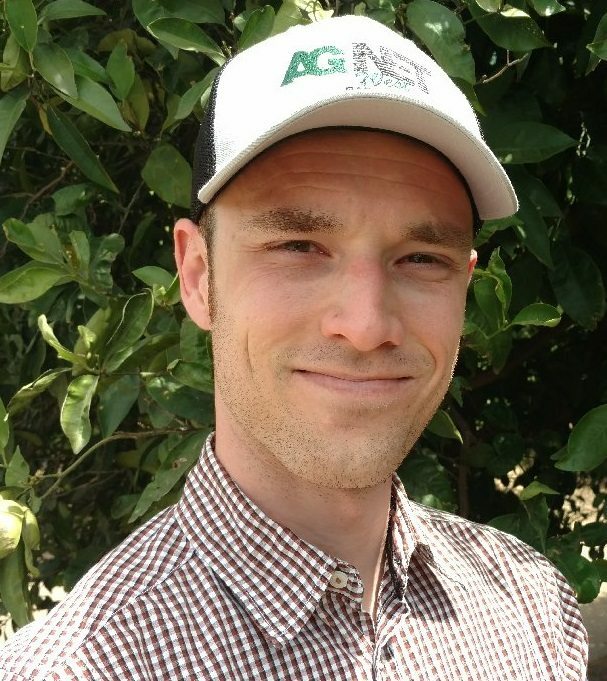 The forecast for the beginning of February is also calling for more rainfall for much of California, putting water conditions in a much better position from where they were this time last year. Information from the California Department of Water Resources (DWR) shows that of the 105 stations reporting, as of January 28 the Sierra Nevada snowpack is at 105 percent of the average with a snow water equivalent of 17.4 inches. With two months left to go, the state already has 61 percent of the April 1 average snowpack. The first manual snow survey of the season measured only 80 percent of average-to-date, and 36 percent of the April 1 average. The abundance of snow in January has also put California water supplies in a much better position compared to last year. 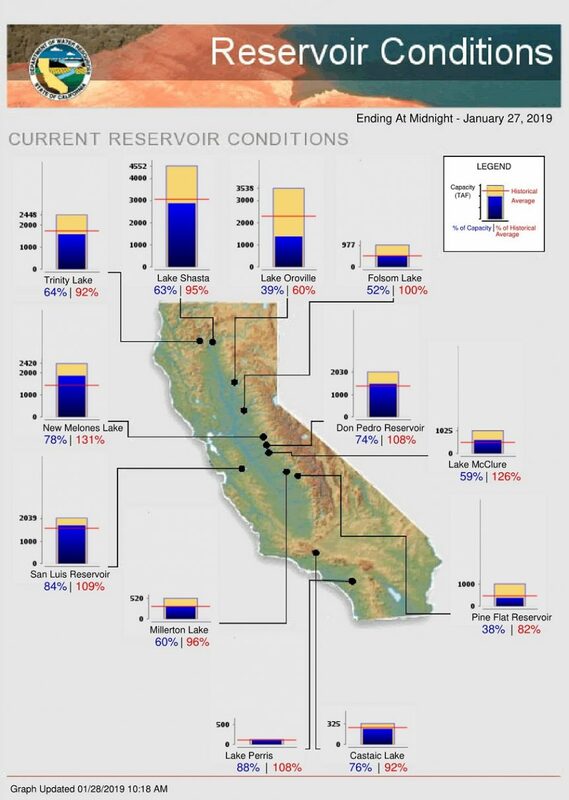 As of January 27, conditions also appear positive for the 12 major reservoirs in California. Six show water levels of at least 100 percent of the historical average at this point in the season, with another four measuring above 90 percent. The state’s largest reservoir Lake Shasta is at 95 percent of the historical average, increasing from 80 percent at the beginning of the year. Folsom Lake saw the biggest increase, growing from 65 percent of average to 100 percent in just under four weeks. The DWR’s Reservoir Storage Summary shows that of the 46 reservoirs with data available, water levels are collectively at 106 percent of the average for this time of year. California started the year with less than 16 million acre-feet of water in storage, but over the past few weeks, that total has grown to just under 18 million acre-feet of combined water storage. If weather patterns can bring average rainfall through the coming months, the availability of water over the summer should be more abundant than last year.